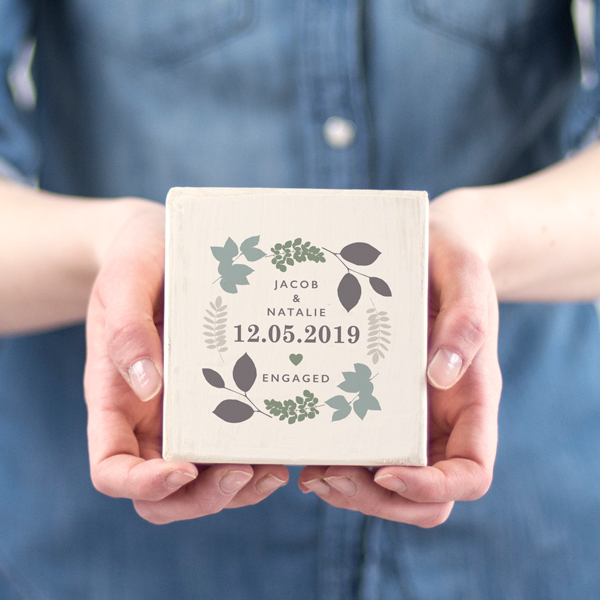 This gorgeous engagement gift keepsake makes a perfect little engagement present for a special couple to remember their special date. what personalised message would like on the back of the block? 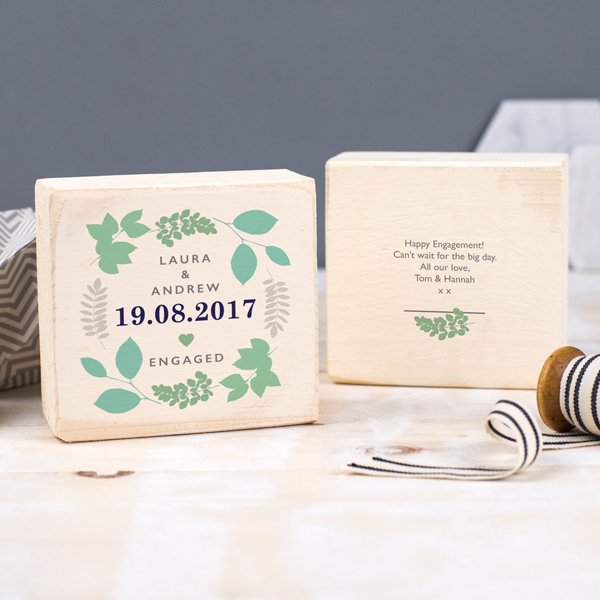 Each engagement gift keepsake is personalised making a delightful engagement gift for a couple. Suitable for a range of occasions; an engagement, wedding or anniversary. Your design can be printed in greens or greys, each combination of colours is soft and versatile. Personalise the entire wording on this keepsake block, creating a truly unique and thoughtful gift. 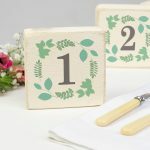 Personalise by adding the name of the couple, the special date they are celebrating followed by the occasion. 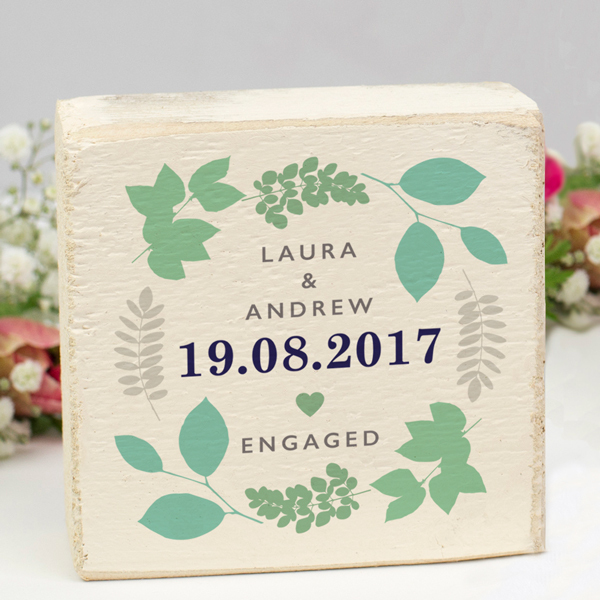 Add a special message on the back of the wooden block for a personalised touch. Please double check when entering this. If you would like to make any alterations to the design on your engagement gift keepsake, please contact us. There is no word limit on this product however please be aware that the more wording you add, the smaller the font size will be. We will always try our best to arrange your wording in the best possible way. 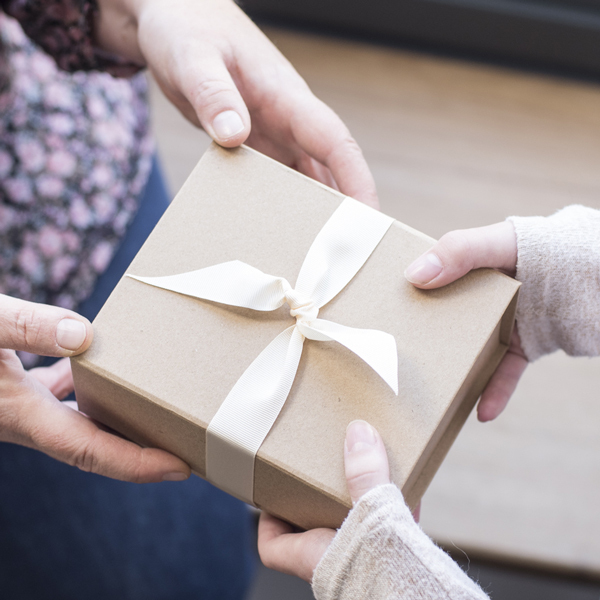 Creating a beautifully presented gift is important to our small creative team. That is why we ask you to double check the wording you have requested to make sure your order reaches you looking exactly as you had hoped it to. 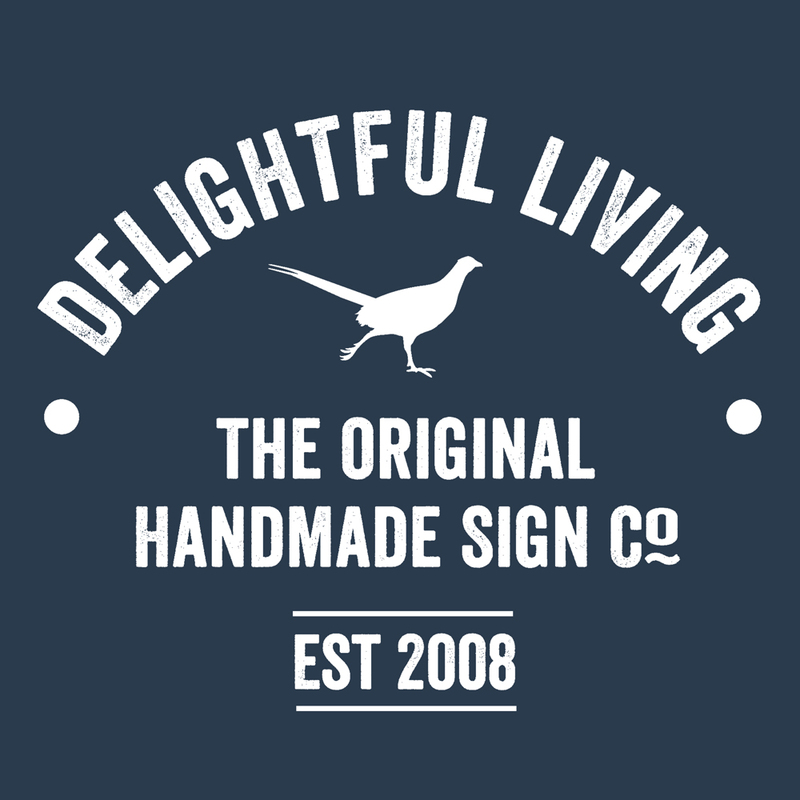 Handmade in Derbyshire from reclaimed wood. The beautiful characteristics of natural wood mean that each reclaimed wooden block is not identical. 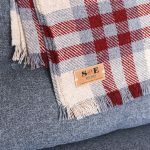 Each has its own textures, knots and slight variations, adding to the charm of this product. Designed, printed and packed beautifully in our studio.